Students skills are assessed at the beginning of the program and are put into the appropriate challenge level. Returning students move to the next challenge level in the robotics program. The LEGO Mindstorms Robotics + Programming introduces students to design and programming challenges with robots using the LEGO Mindstorms Education NXT and EV3 sets and visual programming software. Students develop critical thinking, problem solving, teamwork and digital literacy skills through the various robotic challenges presented in the course. LEGO Mindstorms Robotics + Programming has 4 levels: 1. Robot Educator Tutorials (a. Hardware, b. Basic, c. Beyond Basics), 2. EV3 RoboCamp Tutorials OR NXT Program Activities, 3. 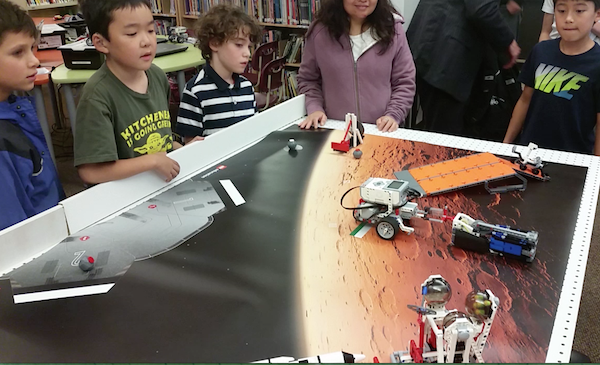 FLL/GearBot Mat Challenges, 4. Advanced Programming Challenges including the RobotC coding interface. Students are assessed for robotics skills at the beginning of the program and are put into the appropriate challenge level. Returning students move to the next challenge level in the robotics program. 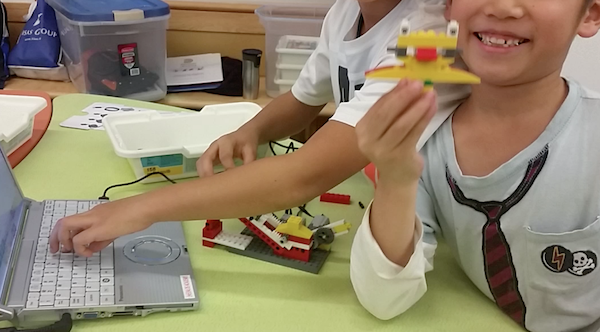 Grade 3 students with advanced math skills and experience in Scratch or Mindstorms Labview programming can be considered to join this stream. VSB Note: Rental of the Vancouver School Board facilities does not necessarily constitute Vancouver School Board support for the program.